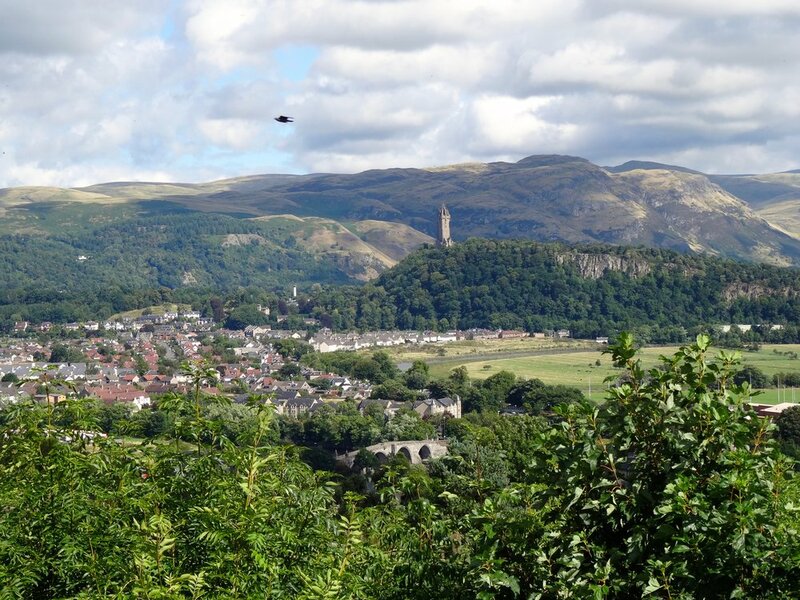 Stirling is the largest town near where I grew up in Scotland. It boasts a wonderful Castle and other historic sites to visit, as well as the unfortunate mall and devastation brought to the City Centre in the name of progress. Those Town Planners and politicians and no doubt their close connections ought to be ashamed off what they did to this lovely City. Golf is this area dates back to the 16th century. These are views of the Castle. the statute to Robert Bruce, a view over the The Wallace Monument and Stirling Bridge. I told you there is a boat load of great history here. In 1869 Stirling Golf Club was formed, at a meeting in the town's Golden Lion Hotel, which had been built almost 100 years earlier and included Robert Burns as one of its famous guests. In 1873 the Club made its first appointment of a professional. Tom Morris Jnr., four times Open Champion and then at the height of his fame, came from St Andrews for the month of April and his terms were 30 shillings a week plus travelling expenses. The original course had consisted of only seven holes, and competitions were played three times round the links. Then, in 1892, Tom Morris was asked to come through from St Andrews and his adopted plan for nine holes was the first major alteration to the original course. At the same time a proper clubhouse was built, and the Members sought to make their dress worthy of their new premises and from the summer of that year all players could be seen in the new Club uniform, a red coat with green facings and a green cap of flannel embroidered with 'S.G.C.'. Check out these links for more information about this fabulous area of Scotland.